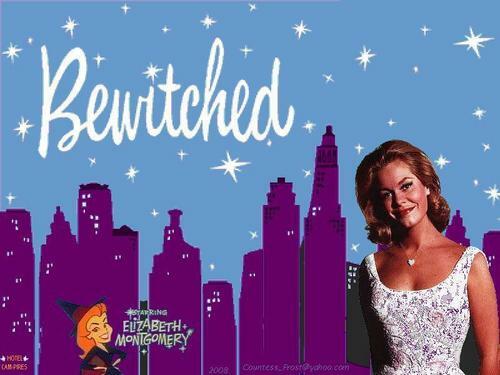 Bewitched. fan art created by me - another experiment with the 95 version of Paint (distorted a little when I saved it). HD Wallpaper and background images in the Bewitched club tagged: bewitched samantha stephens elizabeth montgomery fan art wallpaper thecountess. This Bewitched wallpaper might contain sign, poster, text, and chalkboard. You named the hotel after moi! Thank you so much - I love it. Hell I should wear my glasses when needed, I actually have this as my computer wallpaper at the moment and hadn't seen the name on the building. You're a gem! I can't even be at the computer without my glasses. I love anything fantasy, this is cute.